CHICAGO (February 9, 2015) – NAI Hiffman is pleased to announce that it has been awarded the management of 100 North LaSalle Street in Chicago by Sun Life Investment Management. 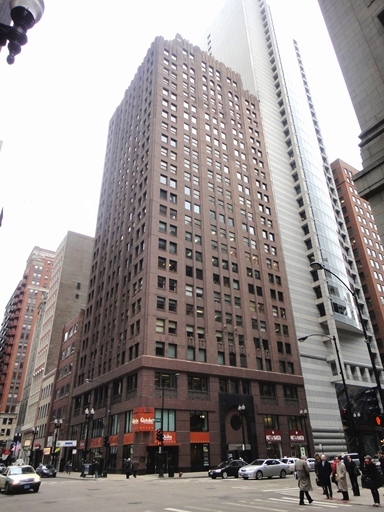 The 160,000-square-foot, 25-story office tower is located at the northwest corner of LaSalle Street and Washington Street. The assignment represents NAI Hiffman’s fourth office management assignment in downtown Chicago. Sun Life has been a long-term client of NAI Hiffman, who currently manages its Chicago portfolio. Sun Life has been strategic in entering the Chicago CBD, with its first downtown acquisition of 29 North Wacker Drive in 2010 where NAI Hiffman played a major role in its $9 million, multi-phase renovation, helping transform the asset to reposition its identity as a premiere boutique office building. 29 North Wacker Drive also achieved LEED Gold certification under NAI Hiffman’s management. Sun Life aims to tell a similar success story at 100 North LaSalle with plans to invest additional capital into building systems and tenant amenities.